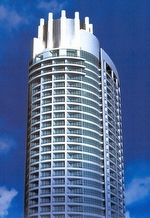 The Fontainebleau III condominium-hotel adjacent to the wildly popular Fontainebleau II and the world-famous Fontainebleau Resort and Spa. 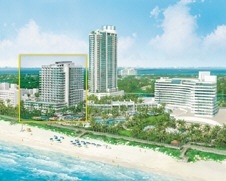 Together, the three occupy more than 1,200 linear feet of beautiful, Miami Beach oceanfront. 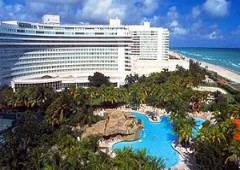 No hotel in this South Florida area comes close to having that much beautiful beach frontage! The Fontainebleau III Ocean Club features 311 distinctive residences with breathtaking views of the Atlantic Ocean, Miami Beach and the picturesque Fontainebleau Resort grounds. The elegantly furnished junior, one and two bedroom suites will range in size from 500 to over 1,000 square feet under air, plus terraces. 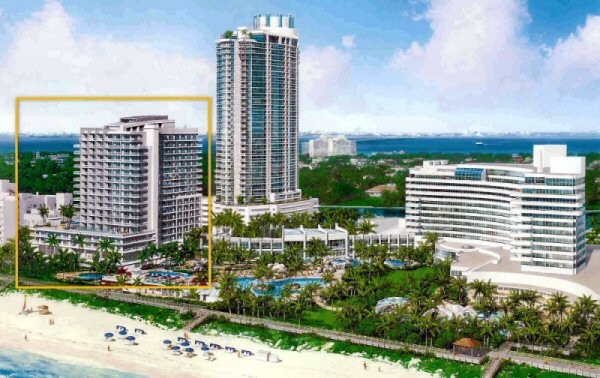 Fontainebleau III Ocean Club will feature distinctive condo-hotel tower residences with breathtaking views of the Atlantic Ocean and Miami. Like Fontainebleau II, the fully and elegantly furnished and accessorized Fontainebleau III suites combine the privacy and exclusivity of an elegant condominium residence with the numerous world-class conveniences and amenities of the famed Fontainebleau resort. Fully decorated and fully furnished, your clothes and personal belongings are all you'll need to check in at Fontainebleau III Miami Beach. Pack for the time you expect to be here…a weekend, a week, a month…Your impeccably crafted, tastefully furnished, well-equipped Fontainebleau III residence is ready for you. We've thought of everything. Your unique status at Fontainebleau III will entitle you to enjoy all the benefits and services of being both a condo owner and coveted hotel guest. And, you can reap the rewards of adding your unit to the Rental Management Program while you are away. 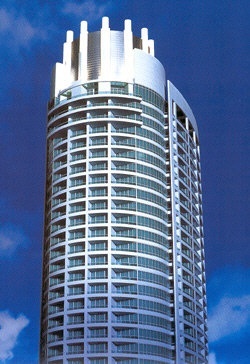 The Fontainebleau Hotel has an impressive 70% average occupancy rate (occupancy rates may vary). 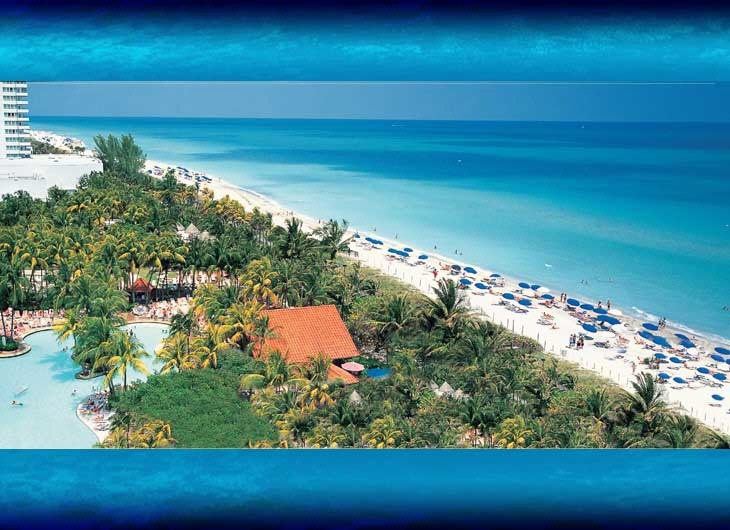 With North Miami Beach, Bal Harbour and Aventura to the north, South Beach to the south and Miami to the west, you'll need a lifetime to explore all the magnificent dining, shopping, nightlife, cultural and sports activities that have made Miami Beach a beloved worldwide vacation and residential destination. Oh, the pleasures of ownership. Knowing that instead of "going away" on a fleeting holiday, you're "coming home" to all the comforts and privacy of your own home, and all the wonders surrounding it. To familiar places, friendly faces, and favorite things to do. Knowing that fabulous tropical resort living can be your everyday way of life whenever you choose. That a wonderful white sand beach bordered by the blue Atlantic Ocean, the multi-million dollar homes along famed Indian Creek, Biscayne Bay and the Miami skyline are the views from your terrace. And that the entire vibrant city you live in is yours to discover at your leisure. As an owner/guest at Fontainebleau III Ocean Club, you can choose to use any or all of the resort's social and recreational amenities. Enjoy the pampering, primping, and fitness facilities of a world-class spa - massages, body treatments, facials and skin care sessions, health and exercise classes. Make your stay here a never-ending culinary experience at our award-winning indoor and outdoor restaurants. Join us for breakfast, lunch, dinner, or a bountiful Sunday Brunch. Or join in the friendly camaraderie of our many lounges. 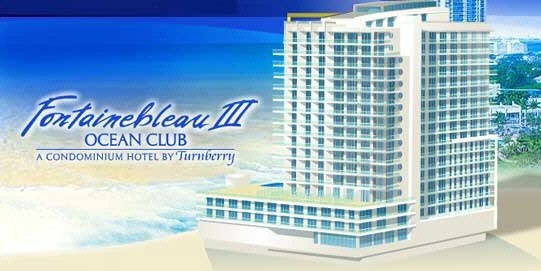 There are shops to visit, exciting activities programs, and nightly entertainment in the true tradition of the Fontainebleau. The Fontainebleau Hotel & Resort has the largest convention center of any hotel in Florida, boasting over 200,000 square feet of space. 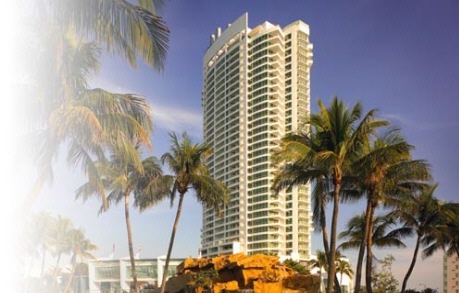 The Fontainebleau Miami Beach has conventions booked well into the future, averaging about two conventions per week. This means while other hotels may have low occupancy rates, the Fontainebleau Hotel & Resort is running at full or nearly full occupancy.